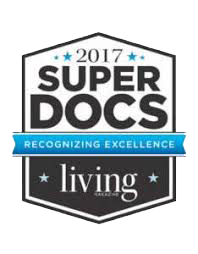 Home Our Team Fellowship Trained Spine Surgeons Eric Wieser, M.D. 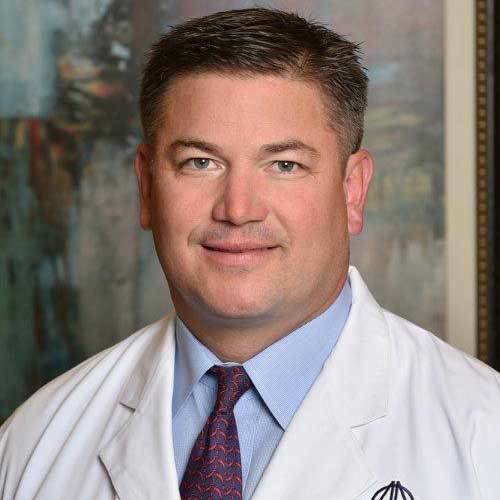 Dr. Wieser is a board-certified orthopedic surgeon, and the founder and medical director of Texas Comprehensive Spine Center at Arlington Orthopedic Association, P.A. His practice is focused on the treatment of spinal disorders. He is fellowship-trained in modern, minimally invasive techniques in spinal surgery, as well as complex reconstructive spinal surgery. A native Texan who has been practicing in Texas since 2004, Dr. Wieser completed a fellowship in spinal surgery at UCLA Medical Center in Los Angeles, California, after completing a residency in orthopedic surgery at Vanderbilt University Medical Center in Tennessee. He attended medical school at Baylor College of Medicine in Houston, and did his undergraduate work at Trinity University in San Antonio. Dr. Wieser is a noted orthopedic expert and has authored numerous research papers and presentations. 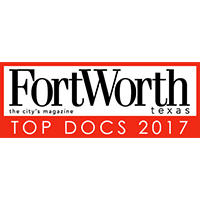 He has also been recognized for clinical excellence in numerous periodicals, including Best Doctors in D Magazine, Top Docs in Fort Worth Magazine, Super Docs in Living Magazine and, most recently, Top Docs in Texas Monthly Magazine. He is an active member of the American Academy of Orthopedic Surgeons, American Medical Association, Alpha Omega Alpha and North American Spine Society. Dr. Wieser enjoys golf, basketball, snow skiing, running and working out. 1994 – 1998 Baylor College of Medicine, One Baylor Plaza, Houston, TX 77030 – Degree M.D. 1994 Wieser ES, Luong A., Ryan KL, Frei MR. In Foundation of Applied Science and Experimental Biology Program, 1994. 2001 Wieser ES and Gregory A. Mencio. 2004 Wieser ES and Wang JC, Spinal Infections. In Orthopaedic Knowledge Update 8, in print. 2004 Wieser ES and Wang JC. Surgery for neck pain: A review. In Neurosurgery, in print. 2004 Wieser ES and Wang JC. VertespanTM Vertebral Body Replacement Device. In Surgical Techniques In Spinal Instrumentation, in print. 2004 Wieser ES and Khoo L. CD Horizon Sextant Percutaneous Pedicle Screw System. In Surgical Techniques in Spinal Instrumentation, in print. 1994 Wieser ES, et al. “Chronic Nitric Oxider (NO) Inhibition: Effects on Hypotension induced by 35-GHz Radiofrequency Radiation (RFR) Exposure.” Presented at the Foundation of Applied Science and Experimental Biology Program. Anaheim, CA., April 1994. 2001 Wieser ES, HSU W, and Spengler DM. “Elective Bilateral Discectomy for Central Herniated Discs-An Outcomes Study”. Presented at the International Society for the Study of the Lumbar Spine (ISSLS) Meeting in Edinburgh, Scotland. June 2001. 2002 Vachtsevanos J, Wieser ES, Noble P, and Eppright R. “Articular Contact Area and Intra articular Pressure Variation with varying the CE angle of the Hip” Presented at the 69th annual meeting of the American Academy of Orthopaedic Surgeons in Dallas, TX 2002 and to the Journal of Pediatric Orthopaedics. Submitted. 2002 Wieser ES, Kusuma S, Mencio GA. “Myelomeningocele Kyphectomy: Review of the Effects of Cordotomy on Urodynamics.” Presented At the Scoliosis Research Society Meeting in Seattle, Washington in September 2002. 2003 Wieser ES. “Surgery for Neck Pain.” Presented At Challenges in Spine Surgery Symposium, New York, New York in December 2003.